LAN-sized installations up to complex networks with hundreds of devices. Now we are going install Cacti from source code.If you are trying to install from source code you will have some advantages like latest version you can install. 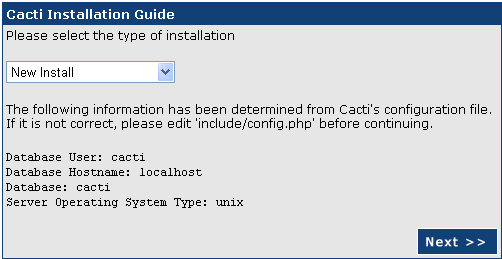 Now you need to download Latest Version of Cacti From here http://www.cacti.net/download_cacti.php to your apache web server document root by default this is /var/www/ you can download if you changed your document root to some other path. You can also use phpmyadmin to create database. 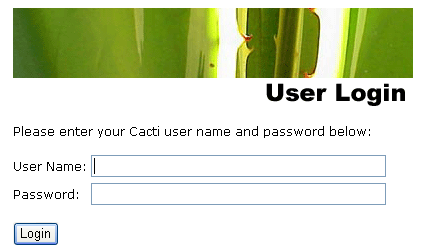 I am creating cactiusers as mysql database user with password as cacti. Now you need to Edit /var/www/cacti/include/config.php and specify the MySQL user, password and database for your Cacti configuration. Enter a valid username for cactiuser, this user will also be used in the next step for data gathering. Add the following line ans save you can chnage the time whenever you want. Replace /var/www/cacti/ with your full Cacti path. enter this line /usr/local/rrdtool-1.2.15/bin/rrdtool it will work without any problem and click finish. 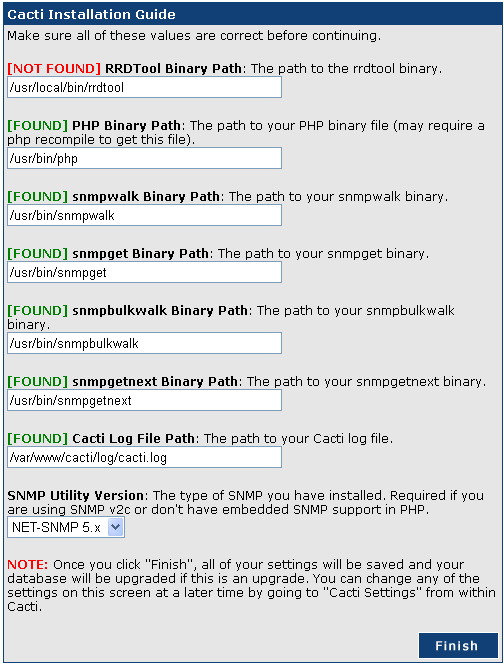 If you install from package it will automatically detect the RRD Tool Binary path without problem. just want to report broken link. http://people.ee.ethz.ch has moved to new site, you can find it now at http://tobi.oetiker.ch. For the wget address of rrdtool I suggest to change the link “http://people.ee.ethz.ch/~oetiker/webtools/rrdtool/pub/rrdtool-1.2.15.tar.gz” to the new one at “http://oss.oetiker.ch/rrdtool/pub/rrdtool-1.2.15.tar.gz” or the newest rrdtool-1.2.19.tar.gz. Hey, this does not work with the default 6.10 install. Anyone know why I might be getting the following error message when I point my browser to the cacti directory on my server? I did everything above without a hitch. Looks like mine has an error too, but I can’t tell what it might be. I pointed my subdomain to cacti and I get a plain white page with nothing. Take a peek if you want. http://cacti.openlug.com. I’m having the same issue as Tony, no freetype2. I noticed that there were others (in the “Responses” section) with similar errors. 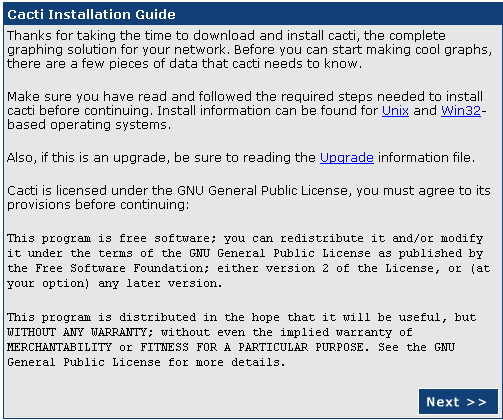 i looked up the install guide provided by cacti, it’s a pdf file, did all that in exact manner. any ideeas? anyone? but i thought maybe someone can help me out. 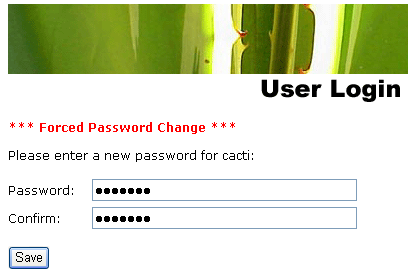 P.S i can mysql -u cactiuser -p ‘password’ cactidb so it’s not a login issue. I did a fresh install, since the machine is a test one, and followed the tutorial exactly, using php5; no errors, except a lil tuning for libraries, as some were old. Works like a charm. Thanks for a great guide!!! Worked fine from there on! Thanks for the article.